A great way to make money during Christmas is to run your very own Christmas tree lot in your neighborhood. There is an empty lot a few blocks from where I live. Every year, a month or so before Christmas, there is a guy who rents out this lot and sets up shop selling Christmas trees. I’ve been living here for 7-8 years now. He’s been doing this every single year. I had a chance to talk with him once. So asked him a few questions that most people considering selling Christmas trees would have. Where do you buy your Christmas trees wholesale? He wouldn’t reveal his sources (rightly so – he thought I might have been competition for him). But he told me finding a Christmas tree farmer and working directly is the best way to go. But he did tell me how much money he makes selling his trees. According to him, he has been averaging around $15,000 to $30,000 every season. That’s more than some of us make in our jobs during the entire year! Why Selling Christmas Trees is a Good Business? No matter how bad the economy gets, no matter how bad people’s financial lives get, a Christmas tree is one thing that they will still spend money on. And for an entrepreneurial-minded person, that means an opportunity. According to Statista, on average, people spent $50.82 on real and $69.38 on fake Christmas trees in 2015. Multiply that number by the number of households living just in your local area and you can see how viable of a business selling Christmas trees is. According to the National Christmas Tree Association, there are close to 15,000 farms growing Christmas Trees in the U.S., and over 100,000 people have full or part-time jobs thanks to this industry. So it’s fair to say, even though it’s a seasonal business (Christmas tree lots pop up in November and last until December) it’s one that employs hundreds of thousands of people throughout the year. Where Do People Buy Their Trees From? Around 24% of customers get their trees from farms that sell Christmas trees while 68% buy their trees from retail outlets and seasonal Christmas tree lots. The remaining percentage of consumers go digital and buy their Christmas trees online instead. That means, if you set up a Christmas tree lot, you will have access to 68% of the market. Here is a quick overall guide on how to get a Christmas tree-selling business going. To start a Christmas tree business, you need a supplier that can get you trees in bulk. But where do people buy their Christmas trees in bulk? That’s right, the best place to buy Christmas tree in bulk and cheap is a tree farm. And to find a farm near you, all you have to do is do a few searches on Google. Once you’ve found a farm or two, be sure to ask about their bulk pricing. Compare the quotes from a few different farms and go with the best one. Of course, if you own a piece of land, you could grow your own trees (but that’s much more labor intensive and demands some initial startup funds). If you do decide to go that route, be sure to read this guide from the Penn State College of Agricultural Sciences. It has everything you need to know before you start growing Christmas trees on your land. This is the part most people may have some issues. If you own a lot somewhere where there is a high foot or car traffic, then you’re golden. If you don’t own a lot, you’ll have to rent one. Prices vary from location to location. Generally, you want a lot that is easily seen and can be accessed quickly and easily as well. Parking lots of big plazas and even major department stores are some of the best spots. 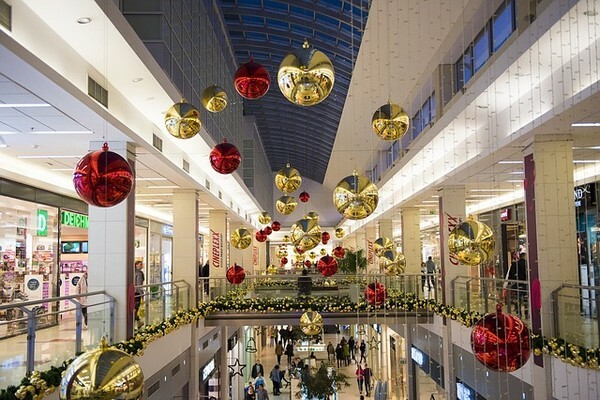 You can catch people while they are in their holiday shopping mood. Of course, it won’t be easy to rent such spots. The good news is that it is possible. Other people are doing it. It just takes a little work. Ok, now you have your wholesale supplier and you have a visible lot in a great location. The next step is to make your lot look like it’s the place to buy Christmas trees. There is really not much to do here but to organize your trees in neat rows based on size and decorate some of the trees. Still, there is one thing missing! You only have trees. You need to add a few more things – wreaths and a few other holiday related handmade items. Having those few extra items will help to increase your sales. It adds visual interest, and in some cases, that’s all you need to convert an “I’m just browsing” consumer to an “I’m buying it right now” customer. Finding a high traffic area can get you half way there. But if you want to really make money, you have to get the word out. There are tons of ways to market your business. When Christmas Day is near – say like a few days away – lower the prices of your trees. Another way to increase your revenue is to offer delivery services for the trees. The trees are pretty huge and it is not easy for some people to bring them home. Buyers will then be looking out for delivery services and you could have trucks to transport the trees back to their homes just in time for Christmas. If you have leftover trees that did not sell, you can donate them to poor and needy families. Not only will you make these families happy during the Christmas season, it will also save you from paying the fees for the disposal of the trees.